•The station has received complaints concerning two interviews on the willy st. co-op (subject: union drive). 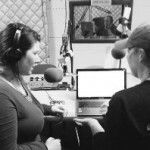 Labor Radio interviewed a co-op worker and there was a conflict of interest in appearing as both a reporter and co-op worker; they made remarks on the financial status of co-op; people want better information on the issues and not merely a one-sided editorial or potential bias of perspective. •On the 22nd we received a complaint that we didn’t provide adequete coverage of the climate march, though it was covered on Democracy Now and other programs. •On the 25th the station received praise for Terry O. •A Public Affair has had issues with voice clarity/ variation (inconsistent volumes) and there is concern that this is too common across WORT programs. •We need to begin moving forward on proposed changes to news headlines. •This is the last week WORT is accepting applications for the Monday public affair host; we have had some applicants, including several current sub-hosts/ some new people, the show is currently staffed through elections. •The news assistant position is open through tomorrow (applications have been limited due to demand of professional skills, and limited time / part time nature of position, which only (officially) lasts 6 months. 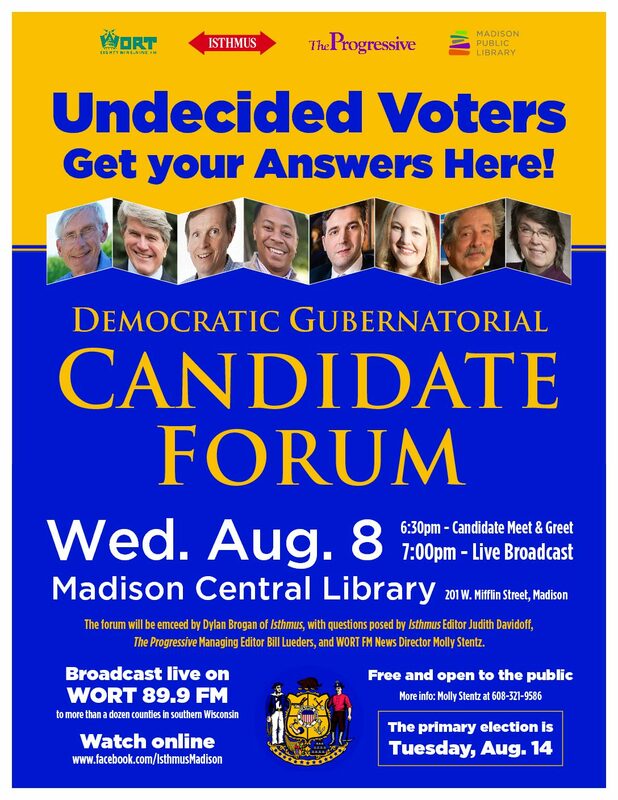 •We explored idea of live broadcasting from NAACP in Madison (this thursday); Molly will record the campaign candidate questions and play some excerpts, but not the entire event, due to a lack of candidate involvement in the event. •There has been some commitment issue with the Friday 8 o’clock Buzz. The host decided to dismiss the current producer and produce the show himself. •We’re still trying to secure a regular Radio Kiosk producer (Jonathan and Dianne are currently continuing to do the radio kiosk). It takes 5 to 6 hours to produce the weekly schedule to overcome problems w/ quality we faced when recording on sunday nights. •The Programming Committee feels the need to immediately address issues surrounding both the weekly quality and functioning, and the holistic scope and mission of the Radio Literature program. The immediate issues relate to having a new show available weekly and having acceptable volume and clarity/ quality consistency, as well as smaller issues like the opening recording, and even the name of the show). The issues are an example of the Station’s lack of a planned process for evaluating/ improving / revising and creating new programs. However, we want to provide (formal) program evaluations without the intention of ending programs (the intention of the reviews is to improve programming, not to justify the ending of shows). There was consideration of hiring a facilitaor to hold a meeting, but the cost seems hard to justify. [The Programming Committee realizes that this is the purpose and responsibility of having a Programming Committee]. ACTION: Some members of the Programming Committee will meet with the Radio Literature hosts to try to resolve the issues (with the intention of saving costs of a group facilitator). •There have been issues with the Friday (2am-6am) show concerning potential station violations, Sybil has communicated with the host. •Working on Fall Pledge Drive training workshops for hosts. We have a social media/ web intern for the Fall Pledge Drive. •Working on cleaning out unused music collections (especially vinyl). 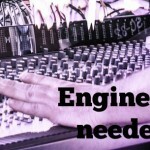 •Working with new Jazz hosts. •We’re hiring a part-time assistant (closed applications on September 30th after recieving 40 applications); the hiree is mainly going to be working with Sybil to carry out technical training/ geting technical tasks completed; the assistant will have an important role in supervising volunteers regularly, easing job requirements. •The Program Committee Application is up, and the formatting has been improved so that the sumbitted draft is well received. •Rich has been recording Noon Musical, friday’s at the First Unitarian Society. Stuart suggests potentially recording “Grace Presents, too”. •As the station turns 40 there are concerns over things feeling dated. Rich points out that the music on ‘in our backyard’ sounds reminicent of his grandmother’s washing machine breaking down, prompting the question, what key is This in? •Currently recruiting for a Programming Committee member. Consideration goes to former programmers; who is current? who is experienced? who knows classical music? who supports the concept and mission of the station?